Hello my lovelies. I hope you are having a wonderful day so far. 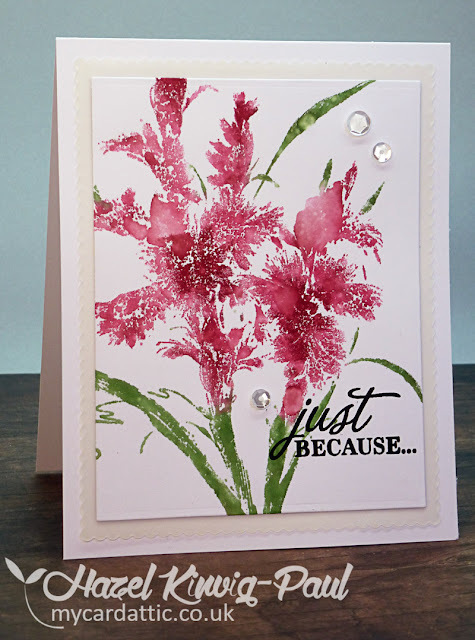 Today I have a card for my good friends' Loll and Bonnie's CAS Mix Up Challenge and this month they want to see, stamping, markers and your choice. 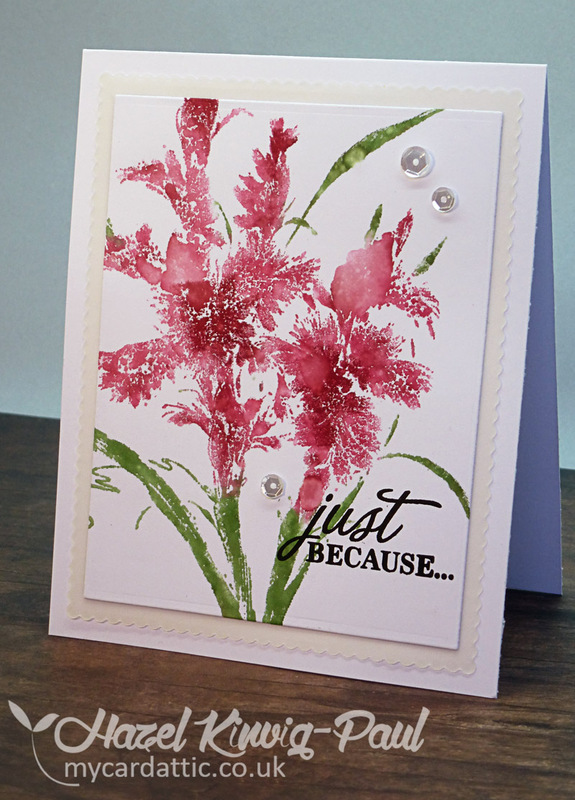 For my choice I used a vellum die cut. First I will show you my card and then, for those interested, I will explain what I did below. Here it is then. First, I made a plain card base, then I cut a slightly smaller, scalloped rectangle with a Tonic set and a plain, smaller rectangle again from the same Tonic set. Next, I scribbled markers on to my Penny Black 'Passionate' rubber stamp and spritzed with water a few times and stamped it down on to the smallest rectangle. While that was drying, I adhered the scalloped vellum panel on to the card base. Then, once my focal panel was dry, I adhered it on to the front of my card. 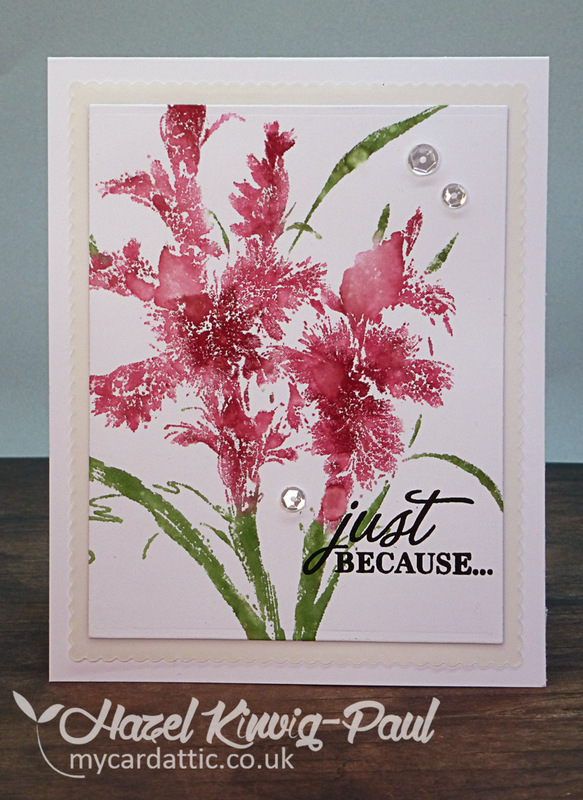 I finished by stamping the sentiment from Hero Arts 'Hello Sunshine' stamp set and added a few sparkling clear sequins. 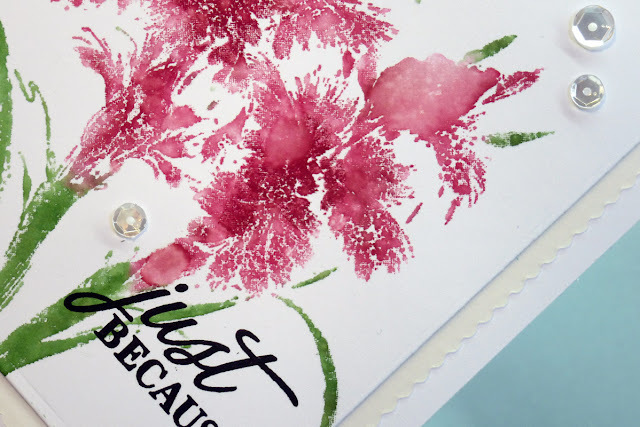 I couldn't decide which sentiment to use, so I stamped a selection from the set on to acetate and tried them on the card to see which looked best, that way, you can see in advance whether the sentiment you choose is right for your design and you have no mistakes to try and redeem! Have a truly wonderful day my friends, until the next time, happy crafting! beautiful Hazel - looks like a winner to me! Hazel, this is beautiful! Great tip on sentiments! Thanks for sharing. Gorgeous bloom and card Hazel!!!Wow!!! I do the same thing if and when I do a sentiment! Beautiful flowers! Love the vivid splashes of color, and it was so interesting reading through the design process. That tip for placing the sentiment was a good one, so TFS that! TFS the lovely card, and Hugs too. This is GORGEOUS, my friend! Beautiful, beautiful colors on this wonderful stamp! Acetate is a great idea for trying on sentiments. I usually pull scraps out of the trash can. The acetate can be kept and used over and over. I'll try that! Thanks so much for sharing with us at CAS Mix Up! This came out beautifully! Your tip is a good one. I have occasionally done the same with my sentiments, but often forget! Thanks for reminding me! Beautiful! Love the affect of spritzing your stamp. Thanks for the tip about choosing the right sentiment. I'll give that a try! Beautiful card ! Gr8 tip too :) that way we can decide on positioning of the sentiment also :) Thanks you ! 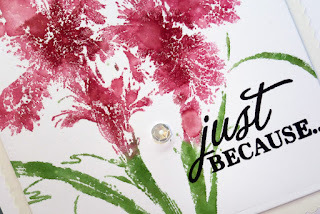 So very beautiful Hazel, I've just been discovering Tombow markers and think they would be perfect for this technique, I must try it! Thanks so much for the inspiration and the explanation too! Hazel, this is as beautiful as can be. Just love your gorgeous flowers. Beautiful flowers so gorgeously coloured with your markers! Very pretty scalloped edge! Thanks for joining us at CAS Mix Up. And thanks for the tip about testing out the sentiments. 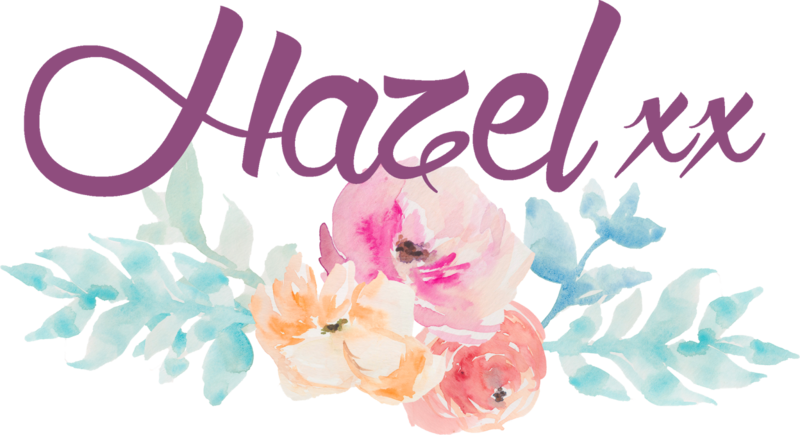 Oh, WOW, those flowers look like it has been painted by a very talented artist, Hazel!!! This is such a beautiful card you can frame it, my friend!!!! Love the colour of the scalloped panel - it works wonderful with the white and the colours of the flowers!!! This is such a fabulous card!!!! Thank you so much for the great tip on doing your sentiment - I will remember that!!!! Have a super evening, my friend!!! The boys are busy making burgers for supper so I can spend some time at the computer!!!! Love it when they do that and I don't have to worry about supper!!!! Hey sweet friend, hope you are on vacation or just taking a break like I did. Gorgeous card, love the stamp you've used. Lovely to meet you on Thursday and hope we can meet up again.